Freedom from clutter is possible for anyone. I know the truth in that statement because I help people declutter their lives and let go of anything (and everything!) that isn’t serving them well. In the end, they enjoy a more organized and intentional life. For well over a decade, I’ve been helping people clear clutter, get organized, and find happiness along the way. But the story here isn’t about me, it’s really about you. Clutter often becomes a source of stress, frustration or even embarrassment, no one deserves to live with those feelings. And with Clutter Control 101, no on has to. 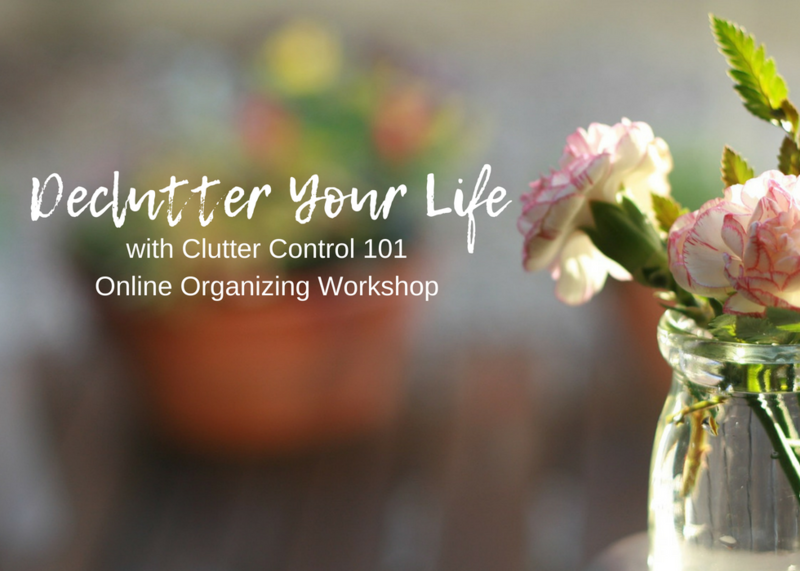 In this online workshop we go step by step, through the process of taking charge and clearing clutter for good. As a professional organizer and clutter coach, I know what it takes to address the root causes of clutter issues. Clutter isn’t just about stuff – mindset and emotions play a huge role. Mental barriers are real and I’ll show you how to break through them! Clutter Control 101 is about more than clearing the current clutter, it’s about building the habits and awareness that will help you maintain a clutter free life for the long term. You will gain the skills and insight that foster empowerment and confidence! 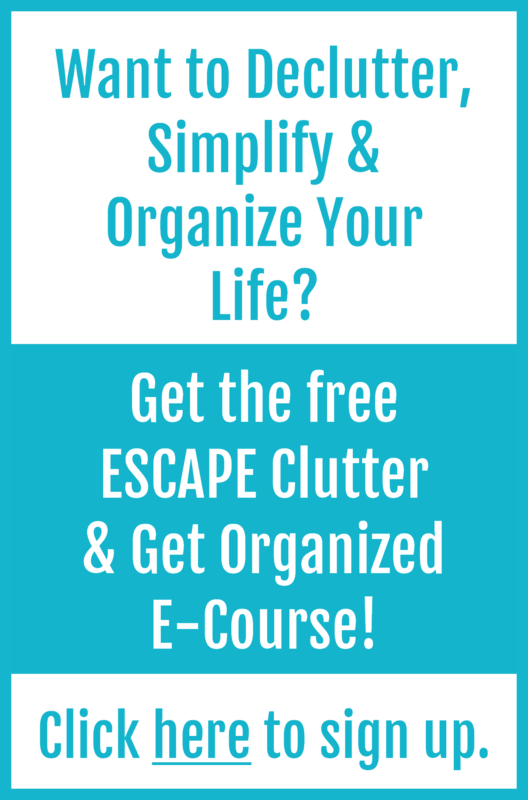 The end result will be that you know exactly how to put an end to clutter for good and organize your life – which saves time, stress, and money! This isn’t just a how-to workshop, it has a built in ‘act on it now’ component. Information without action is just more clutter and your goal is to lose the clutter, right? This workshop combines information with practical application. If you are ready to act, you will see real results. I think it’s very important I share what this workshop isn’t about. We will not be going through the home room-by-room. I’m not offering a cookie cutter approach. What participants work on will be unique to their own situations. To provide support, we will have a private Facebook group where participants can share your success, ask questions and find accountability. It will be like having a coach right by your side, but with the flexibility to interact whenever it’s most convenient. The investment is absolutely affordable for anyone. It’s just $79. And it’s got a risk free guarantee built in so there is nothing to lose and everything to gain. This is a 6 lesson online workshop, delivered via email so there’s no logging in or passwords to remember. Each weekly lesson is a combination of text and MP3 audio, plus there are bonus videos to supplement the workshops materials. All the text sections are also recorded as MP3 audio, so participants can listen while they drive, walk, or do household chores – it’s a great way to allow the content to really sink in. The videos will be available on demand so people can watch whenever you feel like it. No matter what your learning style, you’re sure to feel completely comfortable. No matter what your schedule you can fully participate – you decide when you learn because all materials are available 24/7. Plus you get one-on-one access to me to address your unique issues – you can email with questions at any point.